Android Revolution | Mobile Device Technologies: HTC One M8 after 6 months of use - "With a great power comes a great responsibility"
HTC One M8 after 6 months of use - "With a great power comes a great responsibility"
Being one of the lucky owners of the HTC One M8 I decided to write a few more words about that Android powered beast. It’s been already 6 months since I use it as my daily device and during that time I believe I discovered all pros and cons of the HTC One M8. 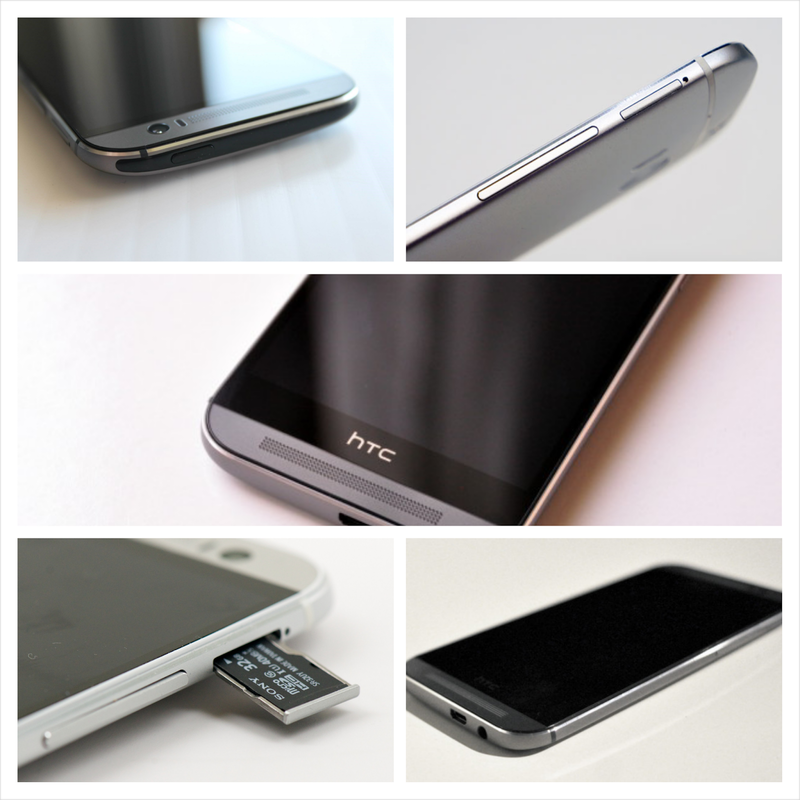 My previous full review can be found here - HTC One M8 - My point of (re)view. 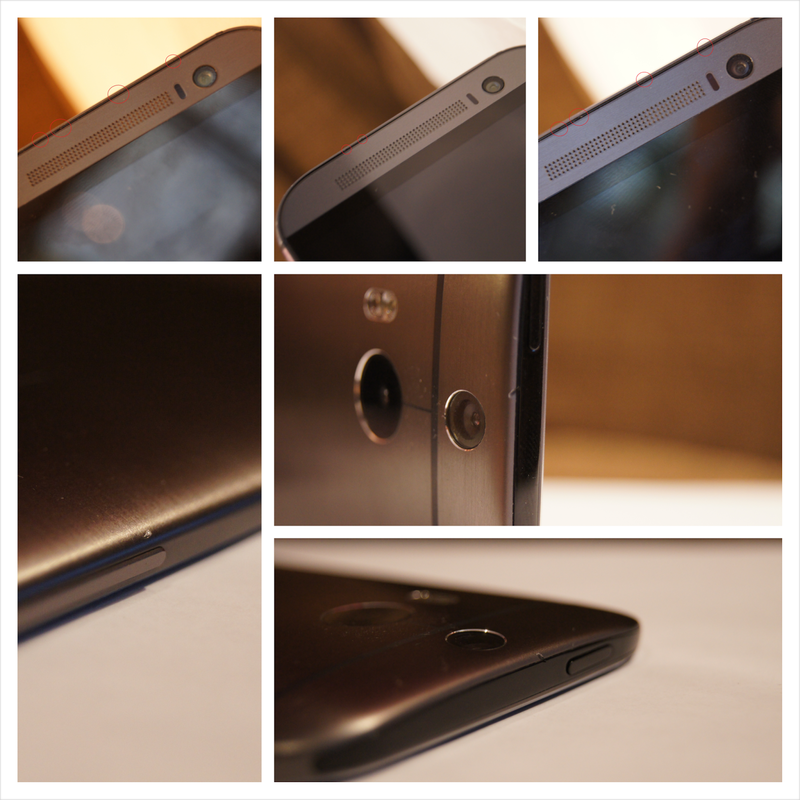 Below I tried to summarize all my thoughts about the best Android device of the 2014. The design. It's always been one of the strongest point of the HTC products. Looking back in time I remember the HTC Desire HD, HTC Sensation or HTC One X being one step ahead of the competition when it comes to the design. Nothing changed since then - HTC One M8 is the best looking Android phone up to date. Even tho there is just a little space for the creativity because 90% of the front panel is a touch screen, the HTC designers did a great job planning the remaining 10%. The aluminium uni-body construction has no competition among other Android devices. It just looks great and it feels amazing in the hand. What can I say about the competition? I like Sony Xperia design and that's all. Samsung Galaxy S5 looks no different to Galaxy S4 and Galaxy S3. It's just equipped with an extra aid kit. It seems that Samsung is somehow still in the 2012. The fragility. Aluminium is your friend when it comes to the design, but on the other hand it suffers from a painful disadvantage - it's very delicate. Even tho I've been using two different, both original HTC covers (HTC Flip Case and Translucent Hard Shell) I was not able to save my device from a few little scratches and two deeper ones. However, I haven't dropped it even once. Furthermore, my HTC One M8 never touched a keys or anything that could leave a mark on it. Yet it's not in a perfect condition, which hurts my eyes badly. In addition, there is this very thin black, plastic frame between the alu-body and a screen (including speakers). I think it's the most delicate part of the device. It deforms really easily and quickly. The performance. 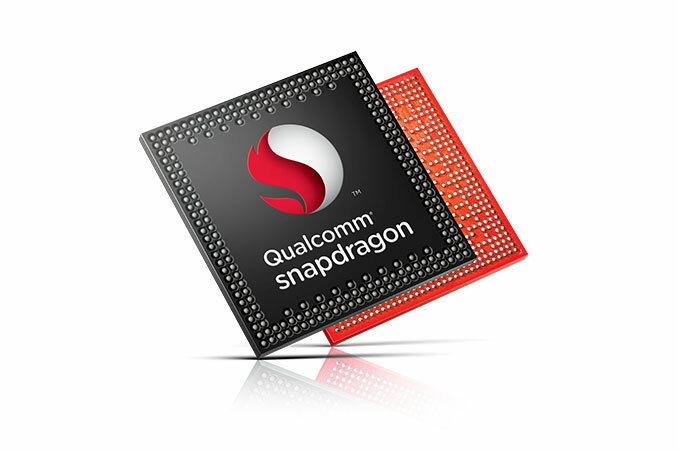 Having Qualcomm Snapdragon 801 (4 x Krait 400 @ 2.26 GHz) on board, together with Adreno 330 GPU @ 578 MHz and LPDDR3 RAM @ 933 MHz means nothing but a pure power. I literally found no game so far that would lag on the HTC One M8. The UI is very fast and smooth, even scrolling the phone book with a hundred of entries there (most with pictures) gives no lags or slowdowns. Everything just works as it should. I think this is my first Android device that has no performance issues. Probably this is not just thanks to the great hardware, but also very well optimized HTC Sense code and Android 4.4.4 in general. HTC One M8 CPU also doesn't throttle too much thanks to the very well designed heat dissipation. But that's the next paragraph. The heat. Uncle Ben would say - "With a great power comes a great responsibility". That's very true. In Android super-phones world we can paraphrase it saying that with a great power comes a great... heat. And it turned out that this problem is finally solved. The HTC One M8 doesn't overheat at all. That means the CPU doesn't throttle and down-clock which has a very positive effect on the general performance. I'm not saying it's cold all the time, but it's definitely less warm in a stress situations than the HTC One M7. Even tho both devices are built from aluminium in a most part, the M8 must have better heat dissipation solutions inside the body plus the Snapdragon 801 generates less heat. The UI. 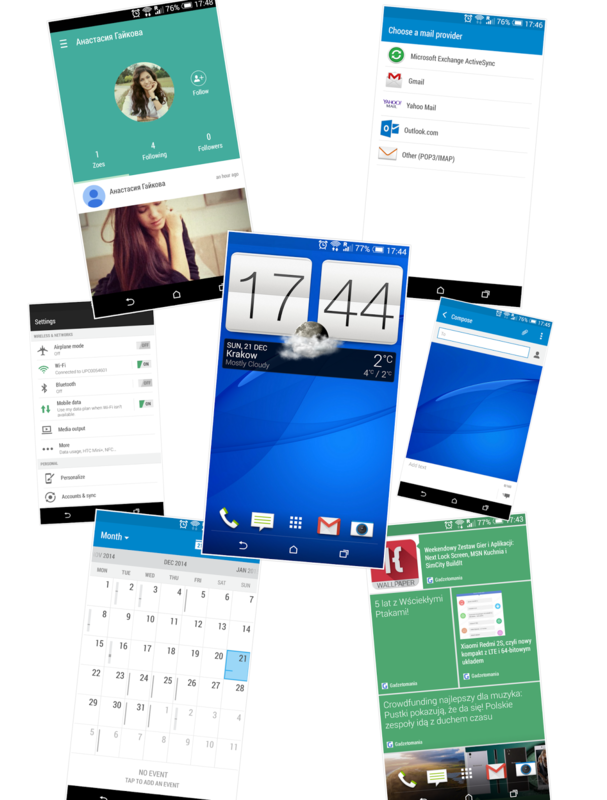 HTC Sense UI is known since years to be the best Android user interface. HTC One M8 comes with an HTC Sense 6.0 UI and as a user of every previous Sense versions I must say it's definitely the best one. It expands the features and possibilities of an Android device and gives very clean, simple and aesthetic user experience. It's also very smooth and easy to learn for a beginner HTC user. Having Samsung device (Note P605) on my left I must say these two user interfaces are not even comparable. What's exciting is that HTC Sense 7.0 is already under development and we'll see it officially probably in March 2015 during the HTC One M9 (?) launch event. Conclusion: The market of Android phones is pretty big. 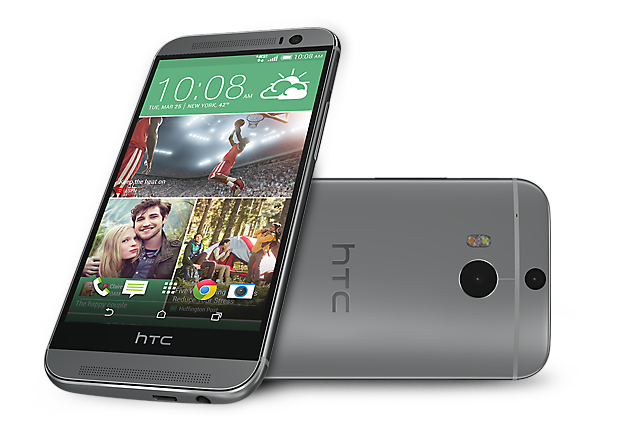 But if you are looking for a decent device, with a great look, feel and performance there is only one choice - the HTC One M8. 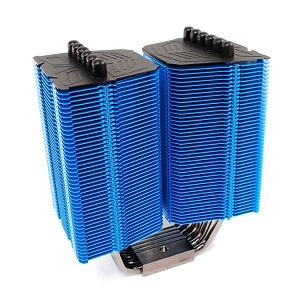 It has no competition in terms of the design, it has a great performance and it doesn't overheat. What's more it comes with a great User Interface, latest Android version and what's very important it regularly receives software updates from the HTC. The next one coming is with Android 5.0.2 Lollipop and it should arrive any day!